PropellerAds Mobile, Native, Popunder, Interstitial, Direct links, Onclick Ads, Mobile Interstitials, Push advertising network details. 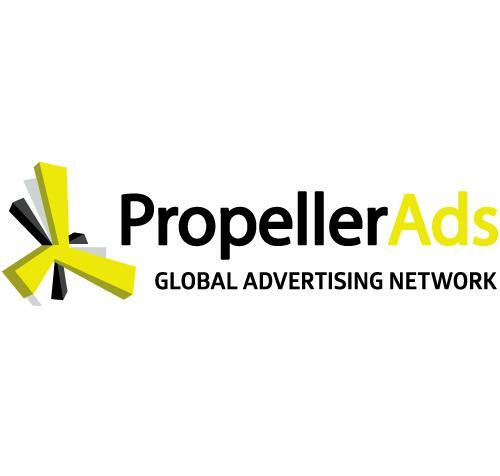 PropellerAds is an advertising company, providing powerful media solutions on a global level.Founded in 2011, the company rapidly became a leader first in popunder advertising and then expanded into the native advertising world with Push Notifications and Native Interstitials.The company currently delivers more than 23 billion ad impressions worldwide, has more than 1 billion monthly active users and boasts thousands of advertising campaigns monthly, across desktop and mobile audiences.Affiliates enjoy 24/7 campaign moderation, live Support, Knowledge center with guides and case studies and low CPC and CPM rates. Раньше нормально работали, а в прошлом месяце такой гавно траф начали лить, что теперь никто из моих знакомых его больше не льет! Уважаемая Катя, пришлите пожалуйста ваш аккаунт - проверим какой трафик лился и почему. Спасибо. Good communication with AM. With no AM, takes a long time to get response from support, and hard to get technical questions answered. Smart CPM and CPA bidding. Good volumes for some geos, and decent quality. The push ads didn't work well. Hey Team! For me it was super easy to get started as all accounts are activated instantly. I logged to my account and added all the domains that I started to monetize. great company! I'm a newcomer here. Like the support, such as personal assistance via skype. Also, referral program has 5 %, additional income!